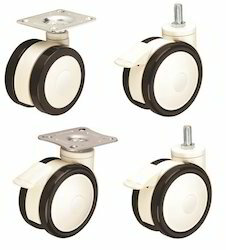 Manufacturer of a wide range of products which include medical caster wheel, twin wheels medical caster, medical polyurethane caster wheels and medical casters with tpr wheels. We bring forth an attractively designed range of Medical Caster Wheel. This Medical Caster Wheel is available in the market at reasonable rates. The offered Medical Caster Wheel is extensively used to attach to medical used patients bed, ICU bed, etc. Further, the offered products are available in the market in a huge range. Keeping in sync with the current fashion trends, we are engaged in offering a remarkable collection of Twin Wheels Medical Caster. 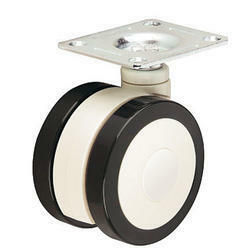 This Medical Caster is known for its supreme quality and durability. In bulk, we are offering this Medical Caster to customers. Medical Caster is widely used for diagnostic equipment, hospital beds, hospital carts, stretchers, IV poles and another mobile. Due to our honest business standards and transparent deals, we are gradually making our way to the platform of success by offering a qualitative range of Medical Polyurethane Caster Wheels. 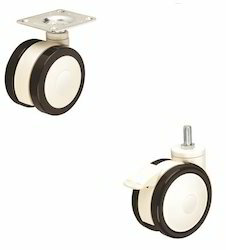 These Medical Polyurethane Caster Wheels are extensively used in various trolleys, machines, and medical equipments. 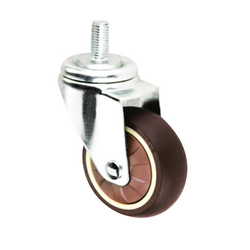 We are a matchless name in offering a superior quality MedicalCasters With TPR Wheels. The offered Medical Casters With TPR Wheels are extensively used as hospital bed caster, Medical trolley caster, nursing bed casters, etc. Moreover, the offered products are available in the market in a wide range. Looking for Medical Caster Wheel ?